Few liquors (or liqueurs) are as fun to pronounce as they are to drink. Zwack, however, certainly is. Considered the national booze of Hungary since the late 18th century, Zwack is an herbal liqueur with a strong citrusy taste to it. But rather than hyper-bitter like Fernet or cloying-bitter like Jäger, it's sweet and herbaceous with a bitter finish. In its native Hungary Zwack is almost always served as a shot. But we're having a lot of fun with it over here in cocktail-world, where we'd place it in its own territory between an orange liqueur and an amaro. Here are three cocktails to make the most of your Zwack. And once you’re done with these, don’t worry; we've got plenty more cocktail names (That's Zwack! Zwack-tacular! Zwack and Coke!) where these came from. We've yet to meet a well-made liqueur we don't like paired with sparkling wine. 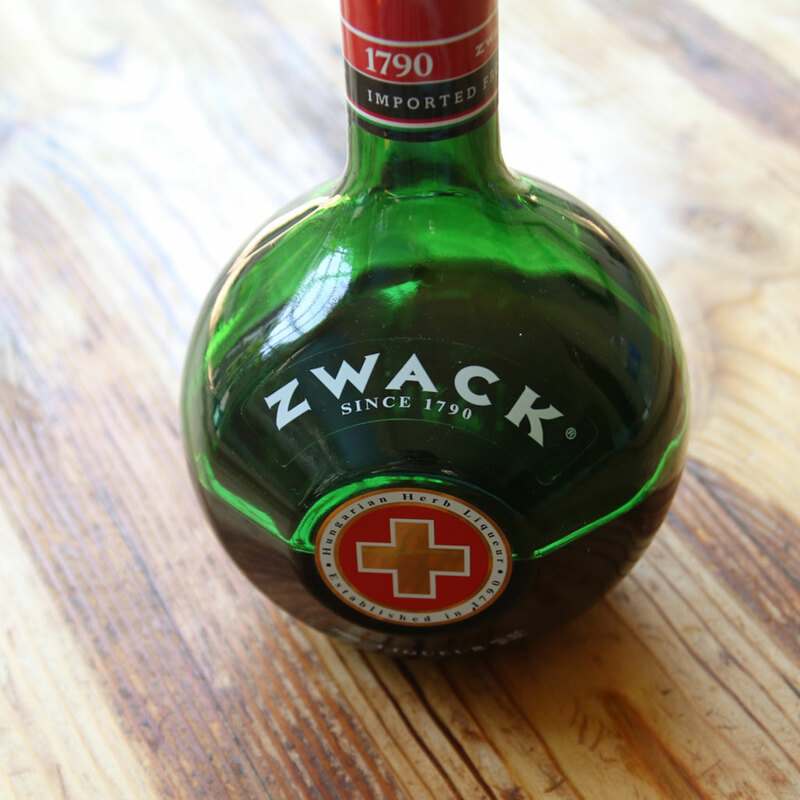 Whereas sweeter liqueurs like Pavan or cassis should be used sparingly, Zwack is bitter (and boozy) enough to up the liqueur-to-wine ratio; we're going with a full ounce. Instructions: In a flute or similar tall glass, combine 1 ounce Zwack and 4 ounces sparkling wine. Garnish with a long, skinny orange peel. Zwack is equally sweet and herbal—you could say the same about sweet vermouth, an essential ingredient in a Manhattan. So instead of pairing vermouth and rye, we're going with Zwack and rye, for a stiff drink that drinks like a Manhattan but lets a citrusy flavor linger around the edges. Instructions: In a mixing glass with ice, combine 2 ounces of rye (we're using Rittenhouse, a good, stiff overproof rye) and 3/4 ounce Zwack. Add a dash of Angostura bitters. Stir until well-chilled, and then strain into a cocktail glass. Garnish with a big twist each of lemon peel—twisting over the surface of the drink to spray its citrus oils all over. Classic margarita recipes call for orange liqueur, so we got the crazy idea to swap it out for Zwack, which, despite its herbal-bitter notes is citrusy in its own right. We chose a reposado tequila with a bit of age on it to stand up to Zwack's more bitter flavors. True story: We've made quite a few of these since first trying them out. Instructions: In a cocktail shaker with ice, combine 2 ounces reposado tequila, 1 ounce of freshly squeezed lime juice, and 1 ounce of Zwack. Shake that all up and strain into a rocks glass with fresh ice. Garnish with a lime wheel.